» Cleaned up for now; surveillance next? Cleaned up for now; surveillance next? 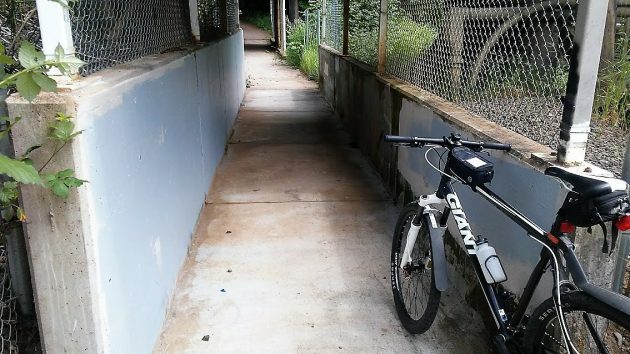 This was the Cox Creek Path railroad underpass on Thursday afternoon, and as you can see, the walls have once again been repainted to look clean. This spot on the Albany park system is tagged so often that I think it would be a promising candidate for camera surveillance. 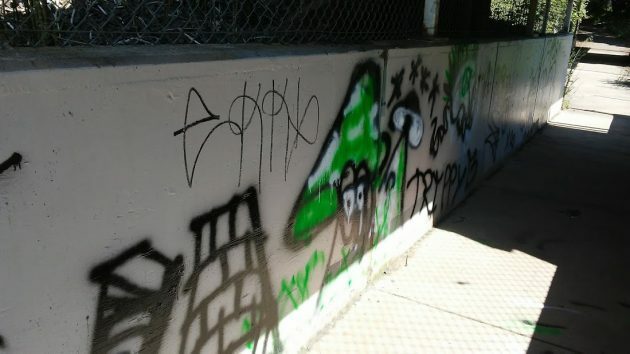 Albany Parks maintenance took care of it Wednesday, covering the taggers’ work with paint. Whatever the message was, if there was one, I’m too old to get it. But I was thinking back to last week, when camera surveillance by private cameras downtown was instrumental in closing a case of expensive vandalism on new street trees and other things. This, I thought, would be a good place to hide some cameras. See if they can identify and perhaps catch the taggers next time. The Cox Creek Path leads from Waverly Drive near Simpson Park to Salem Avenue and Waverly Lake. It’s part of what the late Dave Clark envisioned as an extensive system of off-street paths in Albany and up and down the Willamette River. His idea — sadly left unrealized after his death — was to capitalize on our rivers and creeks to encourage people to walk and bike every chance they get. This path along Cox Creek cuts under the tracks of the Union Pacific and Portland & Western railroads, and the underpass has long been a favorite spot of graffiti vandals. Every few weeks, Albany parks maintenance or sometimes the sheriff’s community service work crew gets in there with paint to cover the walls once again. I asked the city if camera surveillance had been considered. Rick Barnett of the parks department told me that yes, trail cameras had been deployed from time to time on hot spots for vandalism damage. Hummmm, an idea for the “Let’s Make Our City’s Safer” group from weird Portland. Outlaw spray paint cans!!! Or put up a sign that reads “This Is a Graffiti Safe Zone”. Yes, put the blame on the device & not the hand that holds it!! So what’s a video of some punk wearing a hoody to make him unidentifiable going to do?? Perhaps the City Council should consider banning spray cans, similar to the ban some municipalities are now placing on assault-style weapons. 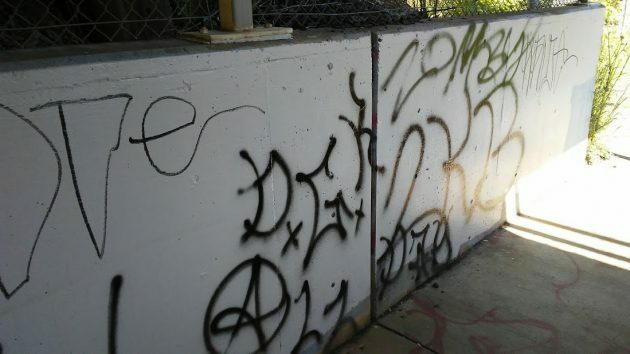 The vicious animals comprising the “Tagging Community” know no sympathy for societal norms. Their only concern is their self-centered obsession with displaying their alleged skills in the Arts. Or, the City could demand that all spray paint canisters sold in Albany must have an RFID transmitter. When a Tagger purchases the can at Walmart, the RFID device is automatically associated with the Tagger’s name, address and known tagging history. Simultaneously, the City would mount RFID receivers at all sites known to attract these modern-day artists. Problem solved…but only if we can get past Councilor Kellum’s deep-seated concerns over privacy rights. J. Jacobson is a half-a-bubble off plumb. Imagine the City managing a database of known tagging “artists.” What does that even mean? A slippery slope comes to mind, as City Mothers and Fathers explore other avenues wherein they can spy upon the lives of citizens. Imagine Walmart cooperating with the City to contain the tagging phenomenon. The City-Walmart glasnost ended once the Council held their noses and voted to allow the construction (some say destruction) of the Albany we all used to know and love when Walmart permits were granted. Re J. Jacobson’s RFID idea. What if the person pays with cash (ok that’s an old fashioned idea). Then the store would have to ask for further ID, enter it in something, etc – All that would do is add extra labor and costs for the merchant. Seems as though there is little or no concern for other people when it comes to tagging and a whole lot of other activities. Too much ME ISM. There are places larger than Albany that require a paper binder register of names of people who buy spray paint. Must be over 18, show ID (which is noted) and cabinets where spray paint is sold, like Michael’s Craft stores, are locked. The taggers who messed up the underpass are amateurs. I’ve seen much better tagging “art” on train cars. Why not find an area where it would be okay for these kids to spray paint and draw. Sometimes it’s not because they just want to vandalize the city. Some of them are really good artists. How hard would it be to make one or two walls in town where they are allowed to create and express themselves without prosecution. Just a thought then maybe the “vandalism” would be less.